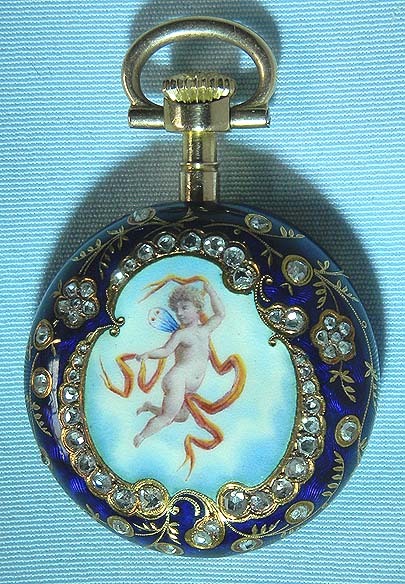 Fine and beautiful Patek Philippe painted enamel and diamond antique ladies pendant watch with matching pin box and certificate, circa 1892. 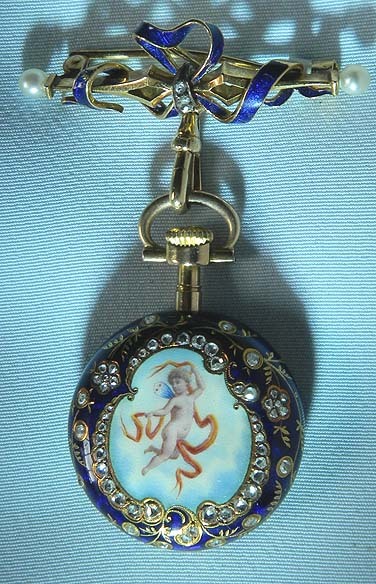 The back with a painting of an angel within a border of diamonds and cobalt blue enamel which wraps around the edge. 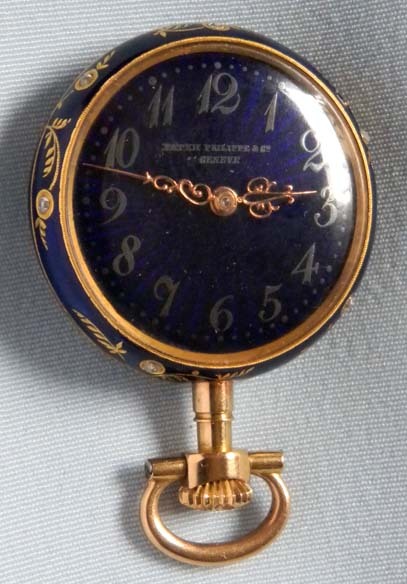 MAtching cobalt blue enamel dial with faded gold numbers. (This is a snap-on dial which can be rotated 180 degrees if desired. 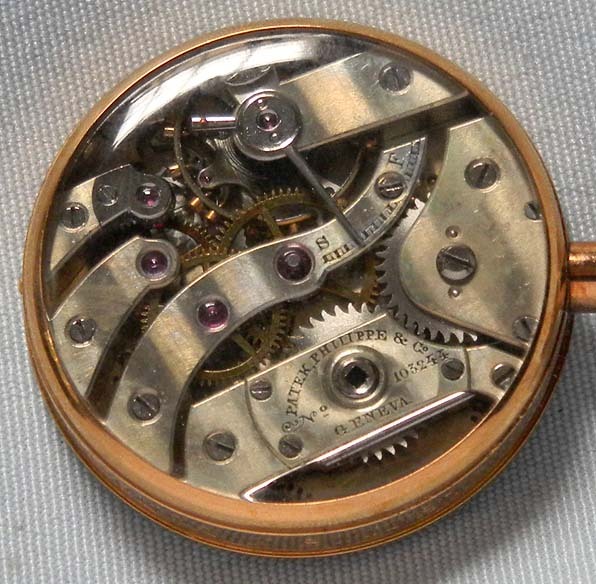 Fine 18 jewel nickel movement with wolf tooth winding under glazed cover. Lovely. 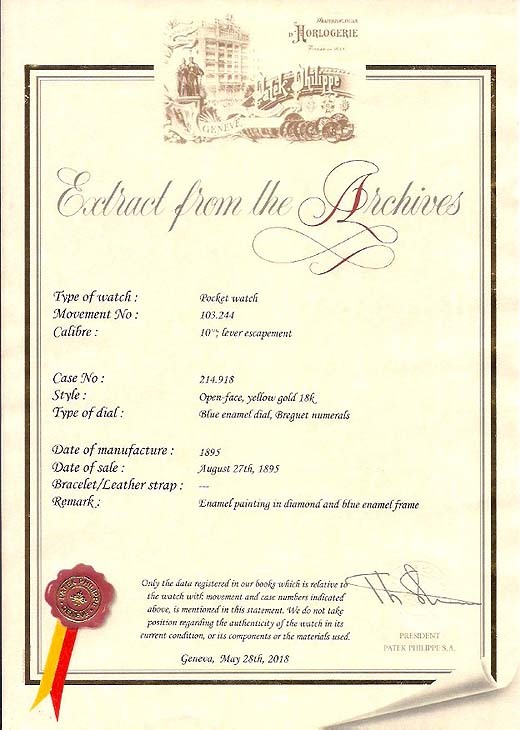 It is very unusual for one of these Patek Philippe ladies enamels to survive with the original box.